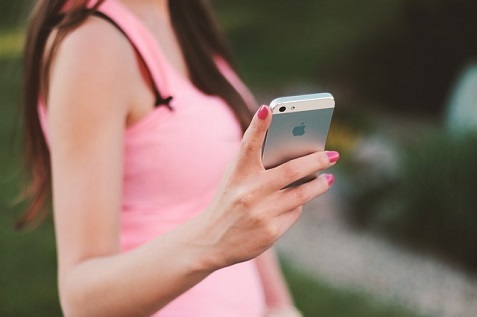 Every day, smartphones form hundreds of functions, making our lives more fun, more convenient, and more connected than ever before. Unfortunately, those impressive capabilities, smartphones, tablets, and other pieces of tech come with advanced and complicated internal workings that can be extremely fragile. For most of us, a piece of tech such as a smartphone or tablet isn’t something we can simply afford to replace every couple of weeks, and the threat of damage causes us to constantly worry that our equipment may end up getting ruined with the slightest bump or graze. It’s rather easy to think nowadays, sat in our offices and living rooms, that the technology we use on a day to day basis is produced primarily in the West by Western companies; these producers have huge resources, a large, educated workforce to draw manpower from, and access to an infrastructure beneficial to technologically advanced products. For decades, however, many of our most-loved pieces of technology have been produced in the Far East in nations such as Japan and South Korea, though even this conception of the worldwide technology market is now underdeveloped, new players moving in from all sides. You know what one of the greatest disadvantages to being an adult is? Not being able to be a kid in a toy store anymore. I’m sure you know the feeling. Trying to comprehend everything available, pure bliss flowing through you as your eyes take in every sight, all the while your childish wonderment starts creating scenarios in which you’re playing with everything you see. It’s an irreplaceable feeling that’s easy to get nostalgic about. While that feeling may be irreplaceable, I’ve got to say that looking at the upcoming gadgets of 2013 produces something that’s pretty damn close. There’s a little bit of need, a little bit of want, and, due in large part to some generously sized price tags, a whole lot of wishful dreaming. 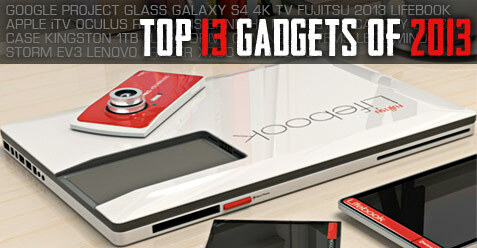 So from long awaited big named game changers, to sci-fi inspired awe inducing wonders, to the just plain fun, here are the 13 best gadgets coming your way in 2013. The biggest gadget of the year? Quite possibly. It’s certainly the most bizarre looking. If you haven’t been following, Project Glass is the Google backed, augmented reality device that allows for everything from weather updates, to messaging, to maps, to Google searches themselves to be available right in front of you at all times through a hands free interactive pair of glasses. 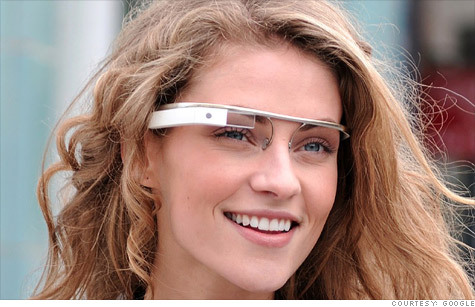 It’s an idea straight out of science fiction that is nearing us ever closer, as the estimated release date for Project Glass is currently 2013, and developers are receiving theirs currently. 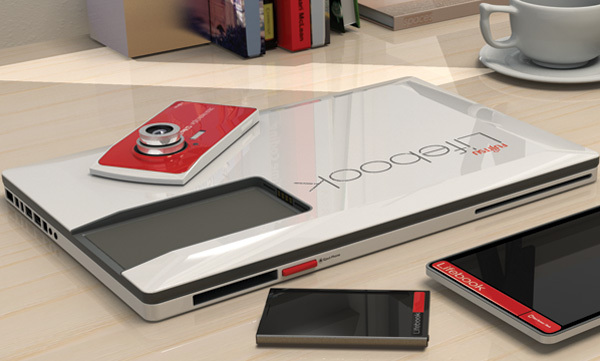 Ultimately it will either be Google’s “Virtual Boy”, or the biggest thing since the smartphone. If the Mars Curiosity rover had discovered intelligent life, they would probably know about as much concrete data on Samsung’s next model of the Galaxy line as we do. What is rumored though is quite exciting. Along with a bigger screen and slimmer design, every piece of technology from projected electronic keyboards, to bendable screens (which may become a big trend in the new year), to unbreakable displays has been rumored for the S4. 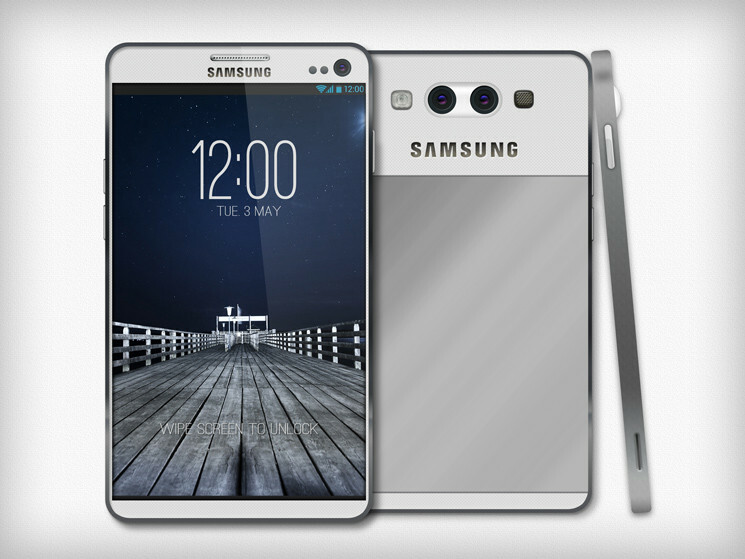 Whatever may actually come of the S4, it will likely be the biggest smartphone release of the year. Also with Samsung smelling Apple blood in the water lately, it could turn some serious market tides. 4K is the next step in resolution quality, and while it isn’t earth shattering, it is clearly the sharpest, most dynamic TV resolution available, and just about every major TV manufacturer has a supporting model on the horizon. Some of which are quite absurd in size, clarity, and certainly cost. 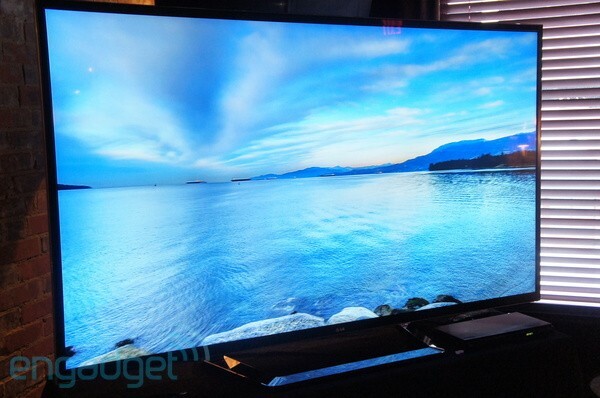 Soon keeping up with the Joneses will mean owing a 4K TV, so if you’re an early adopter, start shopping around now. If Project Glass isn’t the biggest project of the year, then it just might be iTV. That is if it actually releases this year…and if anyone had an idea exactly what the hell it is. 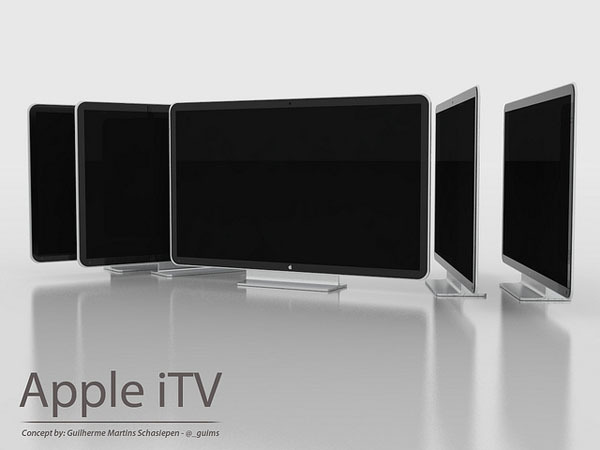 What is known about iTV is that it will be Apple’s full fledged entry into the TV market (not just a media box) and will most likely aim to refocus the TV as the unquestioned centerpiece of your home. Most likely this will be done with a greater emphasis on features, apps, and device compatibility, as well as a Kinect like control system. Truthfully it’s all speculation at the moment. However, given Apple’s track record, don’t be surprised if the iTV is a beautiful, top of the line, highly versatile, expensive, must have, unbelievably cool gadget. Ugh, another virtual or augmented reality gaming accessory? Well yes actually, but don’t hold that against the Oculus Rift. Another Kickstarter success, the Rift allows for an immersive gaming experience where a combination of technologies built into the goggles produces an effect of “being there” that few other devices have neared. Combined with hands free control options, the goal of the Rift is to allow gamers to step into and become a part of their favorite games like never before. 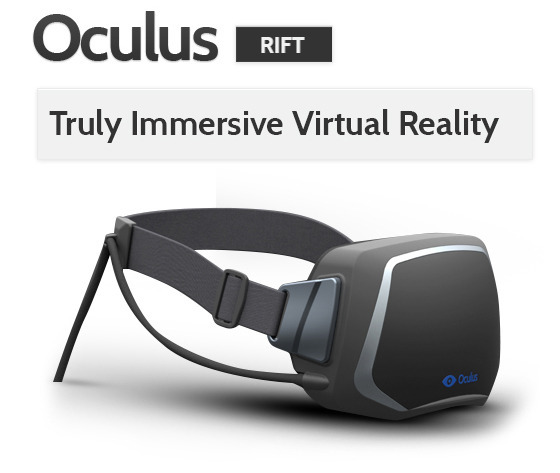 Thanks to the backing of gaming legend John Carmack, and some favorable, if confounded, first impressions from just about everyone who’s experienced it, the Rift could be a real breakthrough in the field. Ok, technically this was released in 2012. However, 2013 will be its breakout year. 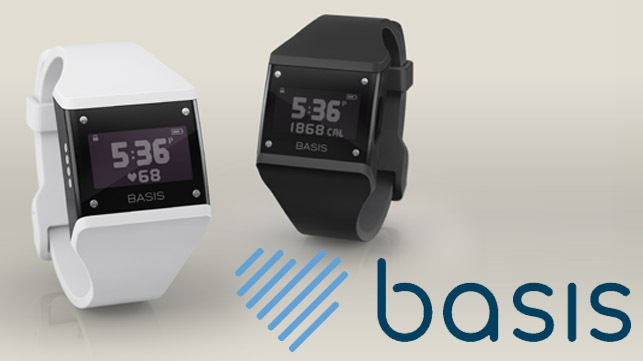 The Basis Band is a tattler of sorts for your health. It keeps track of everything from your active workout progress to your sleeping patterns, and helps you to construct a better lifestyle based around your real habits. There’s been similar devices and applications for years, but none of them provide the ease of use, fluid design, and incredible amount of features that the Basis does. It’s as simple as this. If you are serious about monitoring and improving your health, shy of regular visits to a good doctor, or a full time nutritionist and trainer, you will find no greater companion than the Basis. Fujitsu has quietly been making some of the most solid and consistent computers in the moderate price range with their Lifebook series for quite some time now. The Lifebook 2013 is not quiet and humble though. It is a Frankenstein creation of pure awesomeness (someone just make that a word already) that is not just a high quality laptop, but a laptop that includes a built in detachable digital camera, a phone that is available via insert, and a keyboard area (are you ready for this?) that is also a detachable tablet that can even share data with the laptop, and take some of the burden from the computer to improve performance while in use as a touchscreen keyboard. It’s hard to say, without trying it personally, if the Lifebook 2013 is more insane or brilliant. Either way? Damn, I really want one. Not technically a gadget, and possibly not set for any kind of release in 2013, this is the odd duck of this list. It’s also the most important. 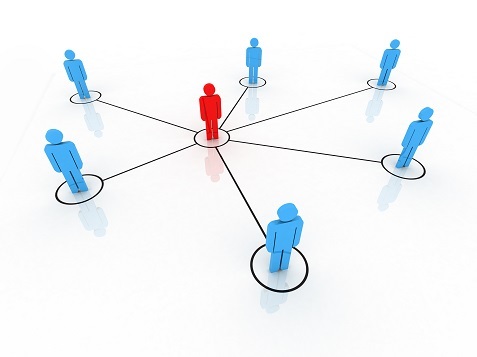 At a base level it’s a circuit component that would allow for better server speeds, and the usual niceties. 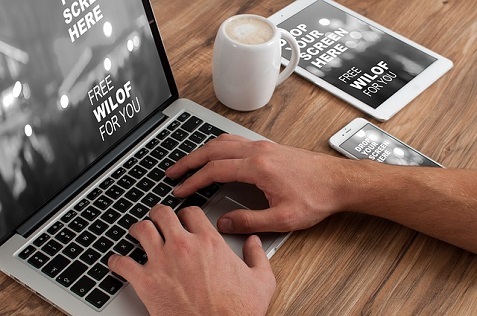 However, the potential uses of the device have people in the industry fantasizing about everything from it being used to eliminate computer boot up time, and even allow for the development of a true learning computer. 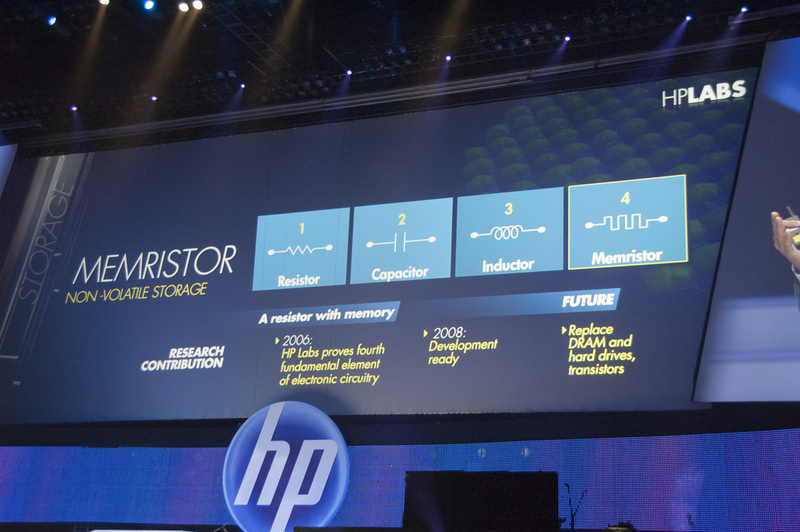 At a consumer level the memresistor wouldn’t be available until 2014 until the earliest, but it’s developmental progress in 2013 will be the story to watch as it will most likely impact the functions and abilities of gadgets for years to come. 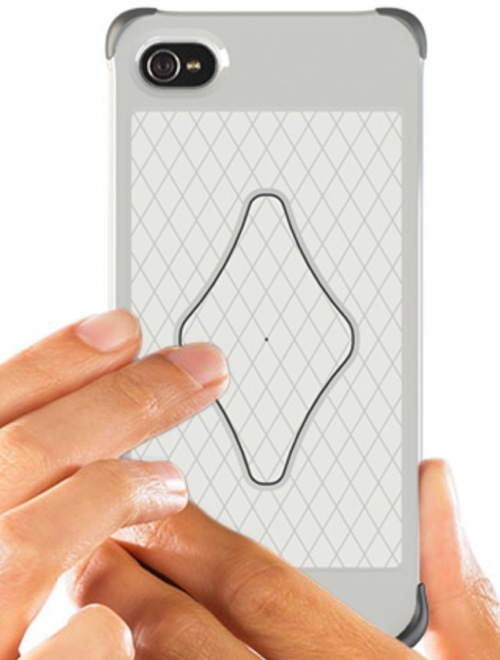 Originally phone cases were designed for protection, and then eventually style. Recently their evolutionary pattern has seen them enhance the functionality of the phone itself via features like extending battery life. The Canopy Sensus is definitely the next step in that line. Its interactive back panel allows for 10 points of input and means that the user can keep their mitts off the screen and still use their touchscreen phones. It’s particularly useful for playing games and not obscuring screen space, or after plowing through a bucket of greasy chicken and not wanting to smudge your phone. The Sensus will retail from $59 to $99 when it goes on sale this summer (with models for the iPhone 4, 4S, and 5 available), and apps that specifically support it will be rolling out around that time. Should it get the proper support, it will be a welcome change to the same old, same old school of case design. A quick question. Would anyone not supposedly making a game console please stand up? No one huh? That’s what I thought. 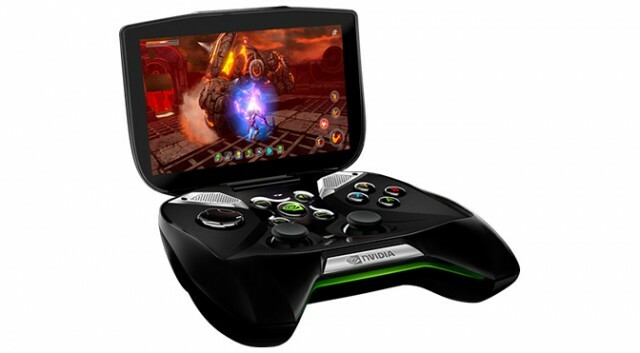 We already knew to expect news on the next gen Xbox and Playsation, but 2013 will also give us the Ouya, Nvidia’s recently announced surprise of a handheld system called Project Shield, possibly Valve’s “Steam Box”, and more. It will not be an easy year to be a gamer on a budget, but a brawl with this many contenders is bound to make for an entertaining melee for even just spectators. Much like jewelry, there is a fine line between eye-catching and gaudy in the world of gadgets. 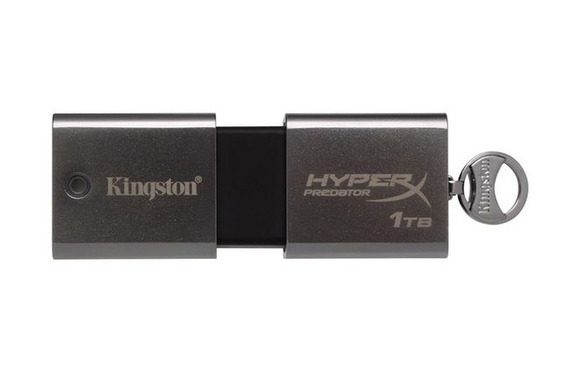 Kingston’s new flash drive is teetering that line, and leaning a bit more toward gaudy at the moment. Besides being frighteningly fast, it will also hold 1 Terabyte of information, making it the largest flash drive ever constructed. Who’s it aimed at? Professionals or data hoarders, possibly, but certainly not cash strapped consumers, as a similar 512 GB model retails for $1,700 meaning a 1 TB version will probably go for…a hell of a lot. Still though, 1 TB? Pretty impressive. Growing up, I could never decide between the ninja and pirate lines of Lego toys. Even today, it’s a toss up. However, if the Mindstorm Ev3 was available when I was a lad, there would have been no question as to my Lego preference. 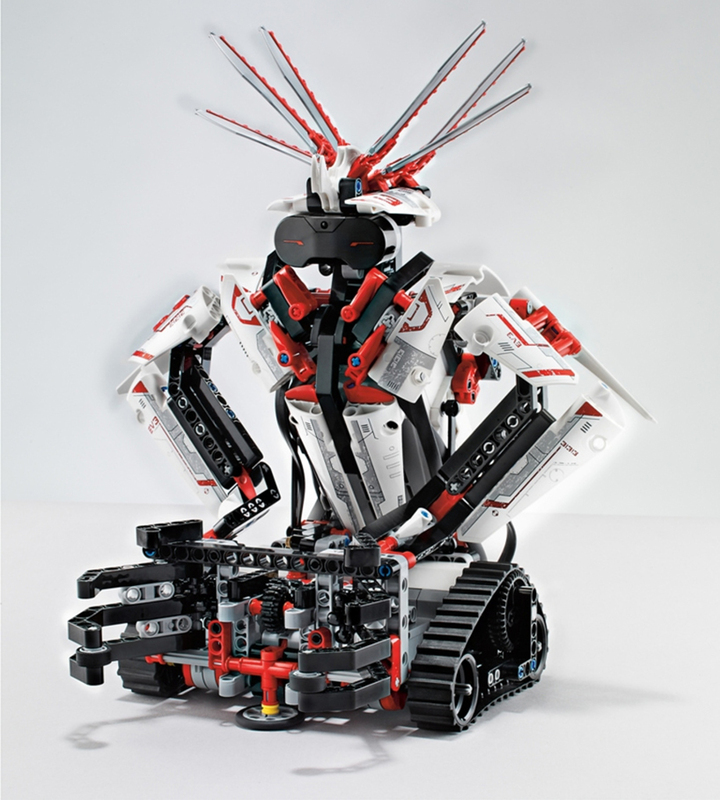 The Ev3 is a 594 piece kit that comes in several models, supports iOS and Android remote control abilities, includes sensors that allow for smooth unimpeded movements, and even comes equipped with infared eyes that can recognize and react to obstacles. Basically then it’s a Lego Terminator, and yeah, I kind of want one. The era of desktop computers, and desktop computer gaming, is slowly dying. 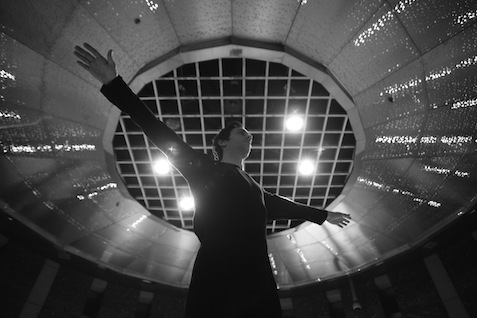 It’s around the time of dying though that you usually see the best a field of technology can offer, as the combination of years of wisdom, and freedom from the burden of expectations often leads to inspired design. The Lenovo Erazer is a killer example of that. 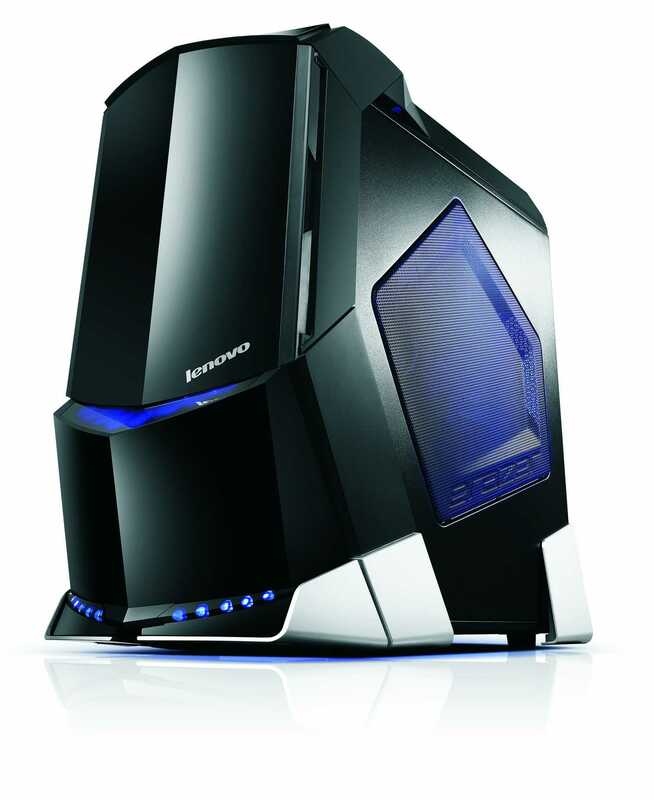 Aimed to go head to head with Alienware and the other gaming computer giants, you can get the new Lenovo with a top of the line i7 processor, choice of best available GeFore or AMD graphic cards, and up to 16 GB DDR3 RAM, but the selling point is actually the big red button. With just one push of the red button on the front of the tower you can immediately overclock the Erazer and get the most out of an already beastly machine. When it’s released in June starting at $1,499, the Lenovo is both a tough sale in the modern computing world, but that should take nothing away from the incredible design.